Nica, Stefan’s sister, is a decent female character in some ways but she’s pretty vanishingly small role – and she exists as a damsel. And the only other woman in the book. There are no LGBT people at all and the only POC I remember is the human body that Akil – the human body that the demon Mannon wears and he’s a prince of Hell. And I say wears because there’s a strong implication that it’s just a form he wears rather than his actual self, however, Mannon does draw from POC mythology even if forced into a different pantheon. Another annoying element to note is that Stefan’s mother is a demon that draws from Asian legend – and there’s no indication that Stefan is Asian. I will give this book points for surprising me while not surprising me. Early on I made a predication about how the book would end, who Muse would end up with, who would be on Muse’s side and who would betray her. It was an assumption based on reading a lot in this genre and knowing the clichés. I think, in some ways, that sums up this book. Is it original? 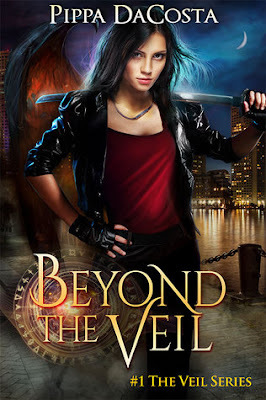 Not especially – it follows a lot of the predictable patterns of an Urban Fantasy – yet while it fits many of the same patterns and concepts and clichés of so many other books in this genre, it also adds enough of its own twist to be different and interesting. It’s not hugely original, but it takes us down a familiar path in a different enough way to still be worth reading – but not different enough or developed enough to be a great read.